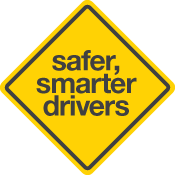 The learner will be able to turn left, turn right and go straight on safely at unlaned and laned roundabouts while complying with all laws relating to giving way and positioning on roundabouts, and the 'System of Car Control'. (a) Comply with the 'System of Car Control'. (b) Comply with the 'System of Car Control'. (c) Comply with the 'System of Car Control'.